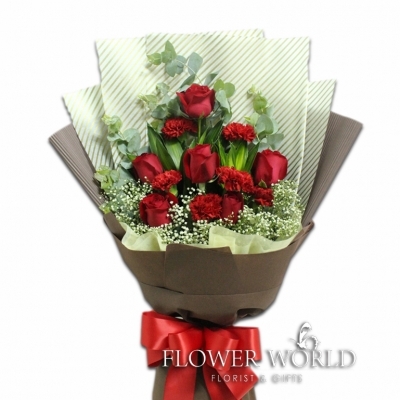 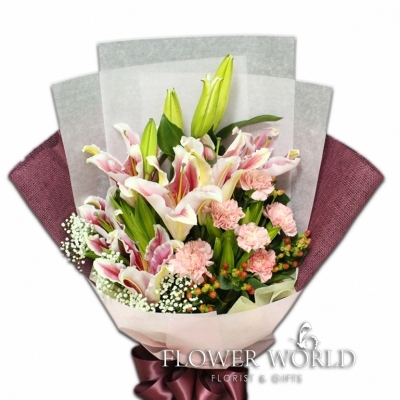 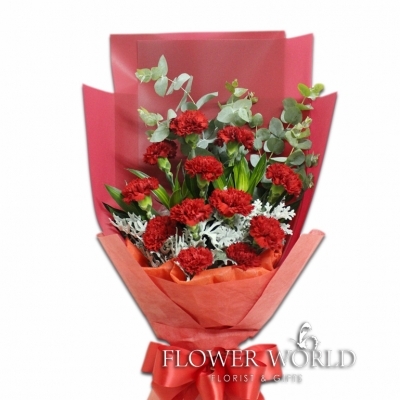 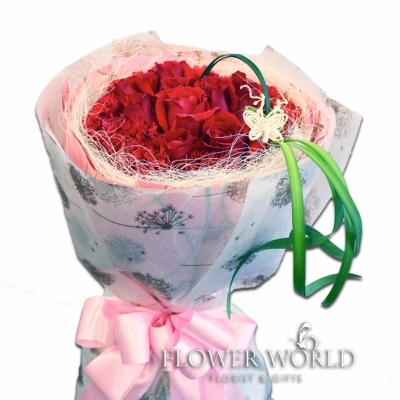 12 fresh red roses bouquet arranged along with red carnations. 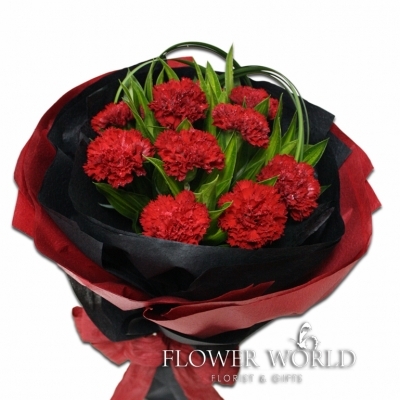 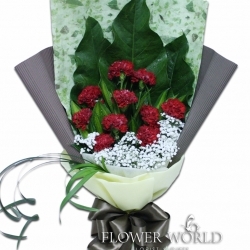 10 Red Carnations arrange in a round design and wrap with the contrast dark paper. 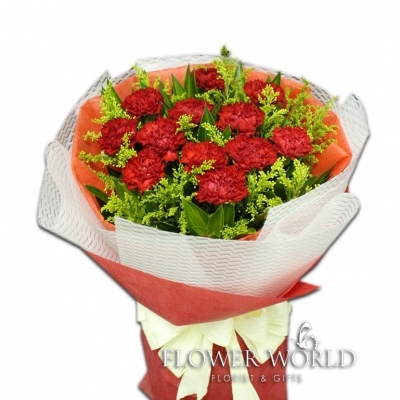 12 Purple Carnations in Elegant round Lavander coloured wrappings.